Your contribution to Theatre, Speech, and Dance will help our faculty provide the best possible learning experience for all our students. For example, in the past two years we have purchased a spiral staircase for a scenic design, upgraded projection equipment, sent students from our classes to see shows in Washington, D.C. and New York City, hosted a guest lecture by a playwright, sponsored a Batik workshop, and sent faculty and students to network with alumni in Washington, D.C. and New York City. 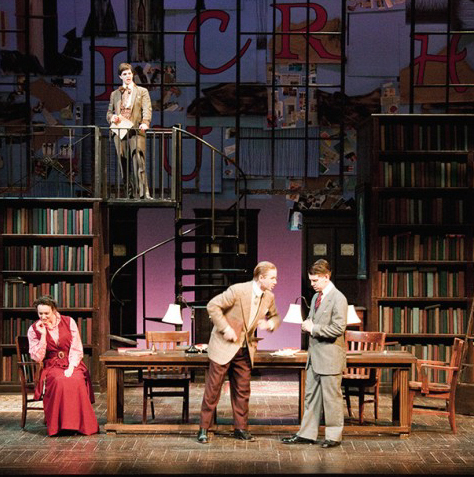 William & Mary Theatre Scholarship (1636):This scholarship provides financial assistance for theatre studies to students who have shown outstanding dedication to the William & Mary Theatre and special ability in their theatre work. Roby-Sherman Dance Scholarship (3630): This scholarship provides financial assistance for summer dance studies to students who have shown outstanding dedication to the Dance Program and special ability in their dance work. Theatre, Speech, and Dance Department Fund (2989): Helps the department provide funds for mainstage theatre production materials and equipment, alumni-student networking trips, guest artist residencies and master classes, and student conference travel opportunities. Donors may specify with a note (see address below) how they would like their contribution to be used. Roby-Sherman Dance Fund (2428): Helps the dance program provide master classes and student conference travel opportunities. Donors may specify with a note (see address below) how they would like their contributions to be used. Please make checks payable to the William & Mary Foundation and indicate your chosen fund on the memo line (see above).